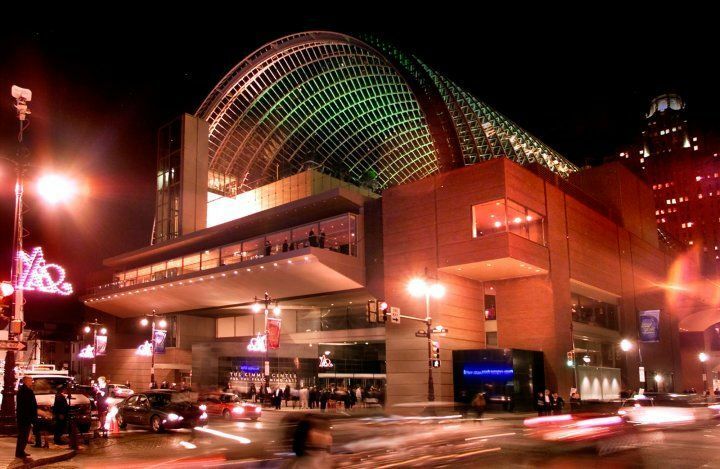 Now is the perfect time to take advantage of Philadelphia's amazing theatre scene. With a variety of interesting shows currently running in the city this month, including a few premieres and new productions of classics, there is truly something for everyone. Did we mention that some of these are Funsavers? See any of the shows on this list? Let us know what you thought on our Twitter page @Phillyfunguide! As always, we greatly encourage you to submit your own events here through our submission page. You never know, your event could be featured next! Another classic movie-turned-musical, Saturday Night Fever is coming to the Walnut this summer season! Put on your boogie shoes and catch some disco fever with classic Bee Gees hits like "Stayin Alive," "Night Fever," and "How Deep is Your Love?" This is a show that everyone can enjoy; June 11th will be an Open Caption performance, while July 5th will be an ASL and Audio Described performance. What happens when you mix a classic play, a star cast, two countries, and technology? Bryn Mawr Film Institute's live broadcast of Who's Afraid of Virginia Woolf! Led by Sonia Friedman Productions out of London's West End, Edward Albee’s landmark play will cross borders as it's streamed live from the Harold Pinter Theatre in London. Don't miss this cross-country event about a dinner party gone awry, only two nights only! Stagecrafters Theatre brings it's 2016-2017 season to a close with a hilarious story of old Hollywood meets olde England. Shakespeare in Hollywood takes us to 1934 Hollywood, where A Midsummer Night's Dream is being filmed on a Warner Bros soundstage. In a moment of true Shakespearean magic, famed characters Oberon and Puck manage to travel to the present, and are accidentally cast as themselves in the movie. Don't miss this raucous comedy, guaranteed to keep you rolling in your seats! Spend the evening with this charming, delightful comedy from Old Academy Players! Morning's at Seven centers four aging sisters - Cora, Ida, Arry and Esther - and their husbands, who all live in the same neighborhood together, as they navigate family and change. After five years of dating, and seven years of being engaged, Ida's son Fred is finally bringing his fiancee Myrtle home to meet his family, and they couldn't be more excited; but is there trouble in paradise? Find out, this June 9-25th! Come see the latest imagining of Broadway's longest running musical, Chicago! Keep in time with Roxie Hart and Velma Kelly as they navigate the perils of jazz clubs, vaudeville and the legal system in this Broadway favorite. The King of Prussia Players bring this classic to life on stage this June at the Centre Theater; you gotta be there! This week's top family friendly events!